Close-up of cabbage being sliced. Cabbage is a versatile ingredient used in many cuisines. 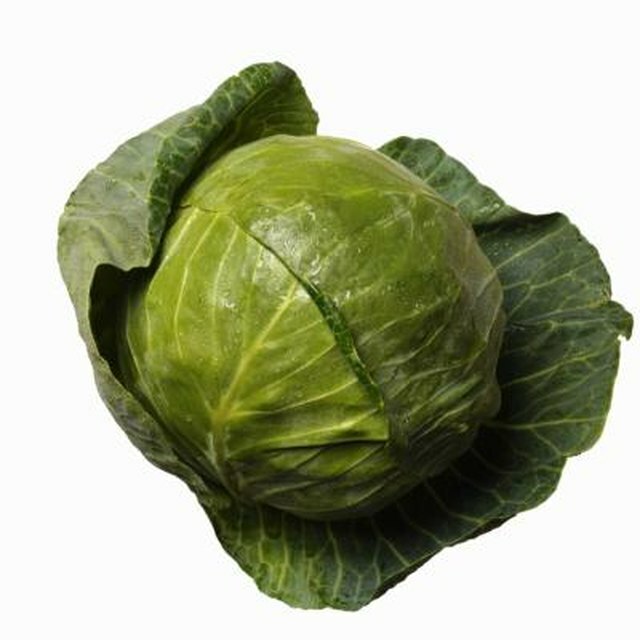 Serve cabbage as a side dish, part of a casserole, a salad ingredient or in full leaf form wrapped around other ingredients. Cabbage dishes like coleslaw require fine shreds or strands to add the proper texture and volume to the dish. Accomplish this using a couple of techniques. Peel off any outer leaves of the cabbage that may be wilted or damaged in any way. Rinse the cabbage under the tap to remove any dirt or debris. Lay the cabbage on a cutting board and cut it in half with a sharp knife. Lay the halves on the board flat side down and cut each into quarters. Cut the solid, woody-looking core piece out of each quarter and discard. Place one quarter on the board with a flat side down and slice across the length of the cabbage in thin strips. Repeat with the other sections of cabbage and add them to your recipe. Hold each quarter of cabbage against the blade of a mandolin slicer and run it up and down the slicer to create thin shreds.